Sorry about the delay since the last article. It’s been a rough week and I was sick on Saturday morning when I was expecting to be writing this. Anyway, let’s pick up where we left off. I hope each of you have developed a list of passions that you’re proud of at this point. It’s always cool to look at a simple list of the things that we love. That simple list reveals a lot about who you are as a person. In fact, if you’re an open, sharing sort of person then I would encourage you to post your list on your Facebook page. Feel free to “tag” me if you do it, I’d love to see. It’s a neat way to share things about yourself with your friends that they may not already know. As you know, step two of our process will probably be a little more difficult. We need to generate a list of our talents (or skills). When we listed out our passions we included some things that we knew we weren’t necessarily good at. When it comes to talents you have a choice about how you would like to proceed. You can generate a list of talents that includes every single thing that you are good at, regardless about whether or not you enjoy it. The other option is to do a little pre-filtering and focus only on talents that you enjoy doing. My personal choice would be to go with the first option. It’s possible that you left a passion off of your original list and a review of your talents may actually encourage you to go back and update your list. However, either way should work fine. It’s funny that I would say that talents are probably more difficult isn’t it? After all, you already know what you’re good at. With passions you had to dig deep into your inner self and that’s a daunting task. My reasoning is this; while passions may be hidden more cleverly they are pretty obvious when you spot them. You have that ah ha moment and from there you have it on your list. Talents on the other hand, are a little trickier. Spotting the obvious ones is simple. However, there are things that you are great at that might be hidden away due to shyness or embarrassment over a previous episode. These talents are much more difficult to get at. This is one of the reasons that I spent so much time on baggage earlier. If you can’t reach down and see or admit the talent that could be vaulting you forward then you will never be able to reach your full potential. 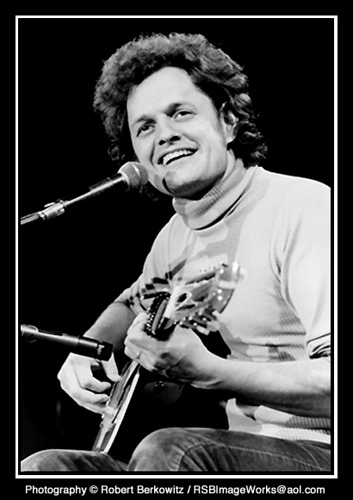 Harry Chapin sings Mr. Tanner. I’m reminded of a song by Harry Chapin called Mr. Tanner. It’s a beautifully sad song about a dry cleaner in the Midwest who would always sing in his shop. His friends and neighbors thought he was wonderful and constantly encouraged him and pushed him to try and make a career of it. Finally convinced, he booked a hall in the big city and performed in front of critics who could make or break him. Mr. Tanner was nervous, it was his first time on stage and he didn’t give his best performance. The critics were brutal and suggested that “full time consideration of another endeavor might be in order”. The broken Mr. Tanner goes back to his job at the dry cleaners, but for the rest of his life he avoids singing in front of people and can only sing late at night when the shop is closed and there is no one around. Mr. Tanner had an obvious talent for expressing himself with his voice through song. Yet the impact of the critic’s review from one poor performance convinced him that this was not the case and he was unable to embrace this gift for the remainder of his life. I want you to realize that there are almost certainly things that you are great at but will want to leave off of your list. It may be because of embarrassment, lack of opportunity to develop, or sheer pain and injustice. If you want to be successful in your quest to find and embrace your purpose in life it is critical that you list all of your talents. Before I move on, I want to talk about this from a spiritual perspective. Yeah, I know I’m entering the danger zone here, but I would rather share what I know to be truth than to dance around it and hope you can pick it up by osmosis. 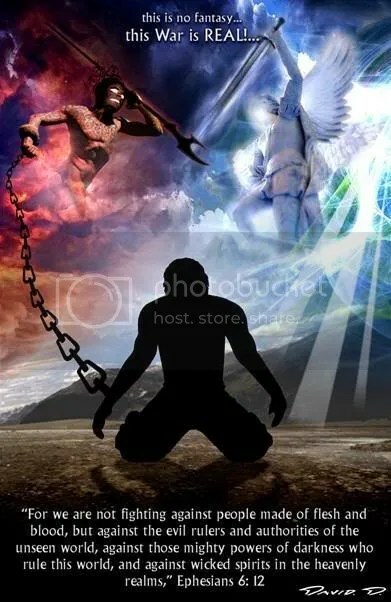 The concept that’s important here is spiritual warfare. John 10:10 says “The thief comes only to steal, kill and destroy”. The reference to the thief is a reference to the devil. Another popular name for the devil is the enemy. He’s earned this nickname by working against you throughout your life. The devil and his minions have no desire to see you succeed. They certainly don’t want you to identify and work toward your God given purpose. Their efforts to prevent this began early in our lives. Many of us were defeated in our teens when we were at our most malleable and in need of support. I know that’s what happened to me. I spent the majority of my teens and early 20’s so far gone that I was actually working on behalf of the enemy and causing healthy people to stumble. God is merciful though and eventually I came to repent and finally joined the right side of the battle. That’s when some amazing things happened for me. For the first time I learned that I had a talent for encouragement and a talent for helping people. These things have blessed me wonderfully since that time, but I never had any knowledge of them until I got myself right with Jesus. The devil had beaten me down and stolen that legacy from me early in my childhood. It’s funny; I wasn’t expecting to go there. None of that was in the outline. In fact, the outline is pretty well busted at this point. But now that I’ve written it there is no way that I’m taking it back. It’s the flat out truth, and if only one person takes it seriously and moves in that direction then there will be a double blessing, one for you and one for me. Praise God! Let’s see if I can wrap this up quickly. You already know what you need to do. You should be building a list of talents to match up against your list of passions. Don’t sell yourself short, and don’t forget things that others may not consider “cool’. If you have a natural affinity for calculations, then that better be on your list. Good at organizing things? Put it down. Good at listening? Put it down. Good at telling jokes? Put it down. You get the picture. It doesn’t have to be obvious stuff. Now, you have two lists in your hands. We’re getting closer to our goal and we can take a major step now. You probably have passions listed that you absolutely love, but when you look at your list of skills those items are nowhere to be seen. In fact, it’s nowhere even close. You can go ahead and eliminate those passions from consideration as we move forward. You don’t have to erase them or scratch them out, but make some mark to let you know that you don’t need to consider those as we keep going. In the next article we’re going to talk about God’s will and how it shapes the way that you look at your talents and passions. Until then, be blessed. Posted on December 5, 2010, in Personal Development and tagged God, Harry Chapin, Purpose, Religion and Spirituality, Talent, Why Am I Here. Bookmark the permalink. Leave a comment.